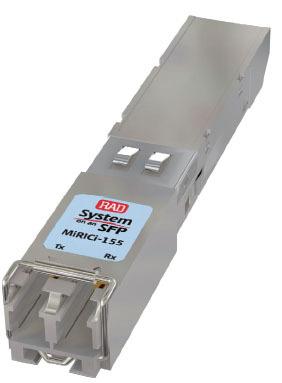 MIRICi-155 from RAD is a state-of-the-art network termination unit that bridges between Gigabit Ethernet networks and STM-1/OC-3 networks, providing simple, efficient, and cost—effective Gigabit Ethernet connectivity over SDH/SONET networks. MIRICi-155 offers a migration path for connecting future-ready IP devices to existing SDH/SONET networks. Typical applications include connecting Gigabit Ethernet LANs over STM-1/OC-3 lines (Figure 1), and connecting Gigabit Ethernet LANs over wireless STM-1/OC-3 links (Figure 2). 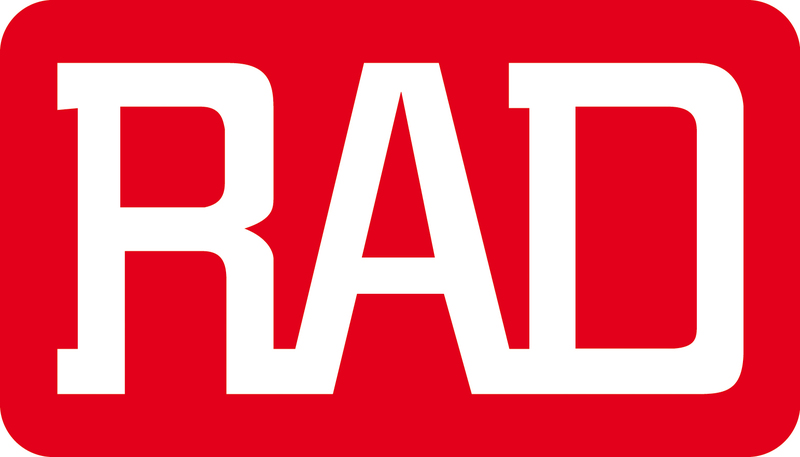 The RAD MIRICi-155 supports frame sizes of 64–10000 bytes, including VLAN-tagged frames. Inband via the Ethernet port using a Web browser. To facilitate integration of a new device into an IP network, if no IP address has been manually configured, MIRICi-155 automatically requests one from the DHCP server upon booting. Application software can be downloaded to RAD MIRICi-155 via the central server, using TFTP. Remote (RLB) and local loopbacks (LLB) are used for physical layer troubleshooting. In addition, the above-listed error conditions are propagated towards the host by sending an electrical signal via the LOS pin on the MSA edge connector. For prioritizing user traffic, MIRICi-155 features up to four separate queues. The queues handle traffic with different services based on VLAN priority (802.1p), which enables to map the 8 priority levels of VLAN to 4 traffic classes. Housed in a Small Form Factor Pluggable (SFP) package (Figure 3), MIRICi-155 complies with the Multi-Source Agreement ( MSA ). Running on power derived from the host device, it requires no additional power supply. MIRICi-155 is hot swappable and features a special release mechanism for easy extraction from the SFP socket. An optional configuration adapter module, SFP-CA (Figure 4), is available for configuring MIRICi-155 by connecting it to a PC via a USB port. The configuration adapter is used for preliminary configuration such as assigning an IP address for first use or specifying the mode of operation. It is also used to download software to the MIRICi-155 units. (Figure 1) and Gigabit Ethernet LANs over wireless STM-1/OC-3 links (Figure 2). Third-party devices that employ standard GFP encapsulation.